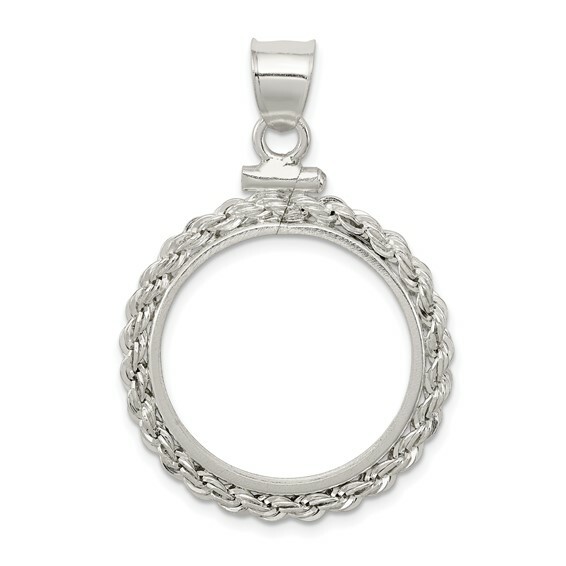 Rope coin bezel pendant for nickel coin is made of polished sterling silver. Dimensions: 21.1mm x 2mm. Weight: 3.4 grams. Made in USA. Coin not included.